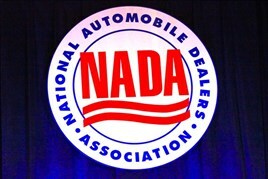 BDO attended the latest National Automobile Dealers' Association in the US. The first report of its reports on key findings from the convention's seminars looks at the best way a dealer can present their business online. Hamilton began by exploring how dealers will compete going forward. He argued that price is becoming less of a factor due to efficiencies in the market with the consumer having much more knowledge than before. A dealer’s stock is also less important as buyers buy more online. Product quality is out of the retailer’s control and down to the manufacturer and so what is now becoming more key is the customer experience. This can transform your business if you are ready for it. • Change is always hard to bring about. • 64% of buyers did not visit dealer websites due to a lack of trust, they would rather visit 3rd party websites for their information. (including through Facebook) and convenience of location to home or work. give your leadership time and space to implement. The best practice results lead to a 41% closing rate, high CSI scores and numerous testimonials and endorsements. The way vehicles have radically changed over the past 15 years. Deliver the experience the customer wants not what you think they want.